MONTREAL – Tecsys Inc. has unveiled a new brand identity and logo. 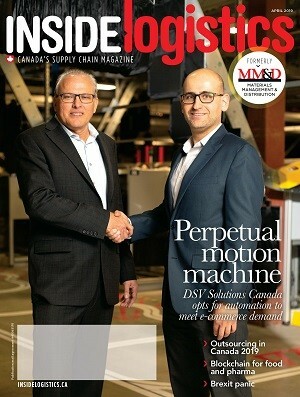 “For 35 years, we have been fortunate to co-create solutions with our clients through some of the most complex supply chain challenges,” says Peter Brereton, president and CEO of Tecsys. The new branding comes on the heels of Tecsys’ November 2018 acquisition of OrderDynamics, a provider of distributed order management solutions for retailers, retail brand managers, and 3PLs. With its enhanced set of solutions, Tecsys is now poised to increase its presence in Europe and Australia while building on its notable success in North America. “Supply chains have been and continue to be a source of complexity for growing organizations,” says Brereton. “Much more profound than just a new set of colors or marketing wallpaper, this brand represents a thoughtful vision for the future of Tecsys – one that is human-centric and mindful of accelerating technology­,” says Laurie McGrath, chief marketing officer of Tecsys.